Career derailment typically occurs when an executive’s career unexpectedly takes a turn for the worse. Understanding career derailment is critical for leaders who want to prevent both their own and the derailment of those around them. This article explores the concept of derailment, its main drivers, and common derailers identified in studies and by various service providers. The article then offers strategies on how to prevent derailment based on a review of the literature and my own experience. One of the most common conversations I have as a leadership coach is how to identify, prevent, and manage career derailment. In fact, a sizable portion of the coaching I do is to help executives successfully transition to new jobs or new countries and avoid derailing. Career derailment typically occurs when an executive’s career is going well and meant to progress but unintentionally fails; the executive quits, gets fired, demoted, or gets “kicked upstairs” (placed in a position that has less or virtually no responsibility). Depending on the source, the estimates are that 40 to 60 percent of executives will derail at least once in their career. My personal experience would certainly confirm this statistic. In my experience I’ve also found that pressure may be both real (market downturn) and assumed. For example, many executives being promoted to new jobs will tell me that their boss has very high expectations and is putting tremendous pressure on them to deliver results quickly. When I ask them if their manager has vocalized these expectations, I often get a vague answer. Upon probing, I often hear the following: “I assume that is what she expects.” As a coach, I must often confirm with the boss what the expectations are. In most cases, the boss will tell me the opposite. She will say that she expects the new person to settle in; learn the new job; meet their direct reports, peers, and customers; and not focus on delivering results in the first few months of their tenure. Those expectations are almost always clearly communicated to the executive. The problem is that executives under pressure often hear what they think the expectations should be as opposed to what they are. What Is the Impact of Intense Pressure? Under intense pressure many executives tend to over-rely on their strengths and disregard their weaknesses. For example, one executive I worked with had very strong strategic and analytical skills. He was hired into a senior management position for his ability to provide strong strategic planning based on solid data analysis. But there was a problem: the company he joined had no institutional knowledge, systems, or understanding of how to gather market data, thus preventing this new executive from doing the analysis he needed to make sound business decisions. Because of data scarcity, the executive delayed critical decisions and recommendations, which then put him under severe pressure. Relying on his strengths while being much weaker at intuitive decision making, the under-pressure executive continued to ask for data and started to blame his new team for their inability to provide the data. This put him immediately at odds with his team, which increased pressure and added to his stress. As for the team, they could see that their new boss was unable to make decisions yet blamed this inability on them. The cycle of pressure and derailment had begun, and the executive never recovered. So, executives derail under intense pressure in large part because their strengths become weaknesses. Unfortunately, the reverse is not true. Under pressure, weaknesses do not become strengths. Therefore, the executive is now in a situation where she is only showing her weaknesses. There has been comprehensive research on this topic, and a number of derailing tendencies have been documented. The table below lists several character strengths and their equivalent derailers under pressure, as documented by Dotlich and Cairo and their Hogan Assessment equivalents. What Is a Typical Derailment Cycle? If you want to understand your own derailment tendencies or those of people around you, it is important to know that executives do not derail because of only one derailer. Typically, the main derailing tendency manifests itself first, thus putting the executive under more pressure, which in turn leads other derailers to emerge. Based on my own experience, this vicious cycle of intense pressure and derailment is almost always present: the emergence of an initial derailing tendency; additional pressures caused by that initial derailing tendency; the emergence of other derailment tendencies; and then, finally, full derailment. The key to preventing derailment is to be able to manage pressure and stress. Therefore, first and foremost, you must be aware of events leading to intense pressure over time. Once that is achieved, there are a number of actions you can take to prevent derailment. It is virtually impossible to prevent derailment without self-awareness. Self-aware leaders know their strengths and weaknesses and understand how their moods, behaviors, and urges impact others. Furthermore, self-aware leaders know that self knowledge comes from a life-time of self reflection and monitoring. It is incredibly difficult to understand how your strengths may become a weakness if you do not even know your strengths. Fortunately, there are also tools to help leaders identify likely derailers early in their careers. Whether you are taking on a new team or working with an existing one, it is very important to know your team members well. This will help you understand when team members are unhappy, uncomfortable, or downright upset by actions that you are taking. It will also create the trusting environment necessary for your direct reports who can then provide you with much needed performance and behavioral feedback. For example, one executive I worked with had a process by which he would ask for systematic feedback three months into any new assignment. He would gather the team and simply ask them to document what they felt he should keep doing, stop doing, and start doing. He would then review the feedback with his team and make commitments on what changes he would make. In almost all cases of derailment I have seen, the direct reports, the boss, and the executive’s peers have either given feedback or hints that things were not going well. You need to be able to gather feedback from bosses and peers and make sure you clearly understand the message that is being given to you. You also want to make sure that you have a solid relationship with your boss and peers so they can provide you with support and help in crucial moments. Many executives are very focused on delivering results and on the internal workings of the organization they work for. They often do this at the expense of a solid understanding of the external environment. They are therefore ill-prepared for what appear to be sudden changes in the environment that may bring intense pressure on the business. I have seen many executives come under stress for failing to anticipate the consequences of a change of government and related policies or the sudden appreciation or depreciation of a currency. 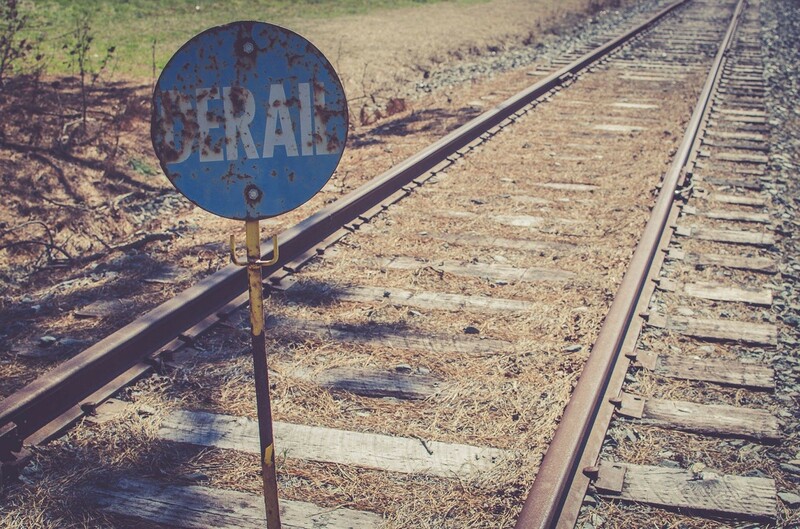 Asking for help is perhaps the simplest and most misunderstood part of preventing derailment. The fact is that most executives do not ask for help when struggling with pressure. It is particularly problematic for executives who are experiencing stress because of a promotion or expatriation. The thinking often goes as follows: “I have been promoted because I am good at what I do, and people believe in my abilities. I am now in a new position, and I am struggling. If I ask for help, it must mean, by definition, that the promotion was a mistake. I should be able to figure this out on my own”. My experience is that organizations have a vested interest in seeing people succeed in their new jobs. They are therefore more than willing to deploy support, resources, mentoring, and coaching to help an executive succeed. The cost of failure is very high. Think of the time wasted, poor results, loss of productivity, impact on morale, and the need to find a replacement. Asking for help is therefore in everyone’s interest. Humility is defined as having a relative sense of one’s own importance. Humble executives are the ones that understand they do not have all the answers and are willing to listen. However, more importantly, humble executives have the ability to learn. This learning will in turn force the executive to change, adapt, and develop new ways of coping with situations. People often confuse humility for lack of confidence. All my experience points to the opposite; the more self- confident a leader is, the more humble he tends to be. It would be remiss of me not to mention the importance of maintaining a healthy lifestyle in the combat against stress. Understanding yourself and how you are likely to respond to stress is vital, but being able to cope with stress is equally important. Ensure that you are taking the proper measures to cope with stress in terms of adequate exercise, nutrition, down time, and recovery time; this will allow you to better cope and provide you with a perspective that you will not have if you are working 24/7. Some of the greatest sources of stress for leaders are promotions and expatriations. Very often expatriation and promotions are combined. I have worked, for example, with middle managers who found themselves promoted into the senior ranks of their organizations and sent to a new country to start their new assignment. In some cases, the new expatriate had to contend with a multitude of pressure points: a new country, language, culture, boss, organizational culture, direct reports, peers, market conditions, and in some cases a new business model. In addition, some executives will have changing personal situations, such as new children not to mention a partner who may or may not be ready for such a dramatic change of life. In such cases, the pressure and resultant stress can be tremendous. You must negotiate with your new boss a period of 90 days during which you will essentially build all the elements you need to ensure your success: you will need to spend time getting to know your boss, team, colleagues, customers, organizational culture, systems, process, environment, and everything else you think will be necessary to understand your new situation. Promise your boss and your team that after that initial 90 days of observing, listening, and understanding, you will have a plan ready for the next 90 to 180 days. This plan may include an analysis of what you think is going well and what needs to change and your overall vision for the success of the department, division, or entity you lead. It is essential to have someone that is outside the immediate organization (a “coach”), who is able to help you “navigate” the new environment. In an ideal situation, the coach will have a strong understanding of derailment and its causes, will know the organization you are entering both locally and internationally, will know the various people you interact with on a daily basis, and will be familiar with both the national culture of your country of origin and the culture of the country you are entering. The coach will have a proven track record in helping people successfully integrate into the new organization. They will be able to detect subtle changes that indicate too much stress and be able to help reduce that stress, and they will also have a proven ability to support an executive in the face of adversity. Finally, the coach will have a track record of integrity and confidentiality. In an ideal situation, coaching should start about three months before the actual transition and last at least three months into the new transition. Career derailment is a very unpleasant and difficult situation to recover from. Some leaders recover and manage to go on to very successful careers while others never fully recover, going from one job to the next, never fulfilling their potential. Any leader can prevent career derailment by understanding what it is and then taking steps to anticipate high pressure situations and understand their likely derailers. They can then take the appropriate measures to get help and support and overcome potentially difficult circumstances. ^Michael M. Lombardo et Robert W. Eichinger, Preventing Derailment: What to do before it’s too late (Greensboro, NC: Center for Creative Leadership, 1989), 4; David L. Dotlich et Peter C. Cairo, Why CEO’s Fail: The 11 Behaviors That Can Derail Your Climb to the Top (San Francisco: Jossey-Bass, 2003), XV. ^Lombardo and Eichinger, Preventing Derailment, 3. ^For an excellent chapter on self-awareness, see Goleman Daniel, Emotional Intelligence: Why it can matter more than IQ (New York: Bantam Books, 1995). ^Hogan Assessments provides a series of personality tests that are extremely beneficial to the development of self-awareness. The Hogan Leadership Forecast Series includes the Hogan Development Survey which identifies an individual’s likely derailers. For more information, see “Leadership Forecast Series,” Hogan Assessments, accessed April 25, 2018,; alternative personality testing instruments such as the ones provided by Talent Q also offer tests that identify likely derailers, see “Assessments,” Korn Ferry Hay Group, accessed April 25, 2018. ^Some organizations will have 360-feedback processes that may provide leaders with data on what is going well and not so well. These 360-feedback processes can be useful when used for development purposes. ^Lombardo and Eichinger, Preventing Derailment, 38-41. ^For a great read on the relationship between humility and strong leadership, see Jim Collins, Good to Great: Why Some Companies make the Leap and Others Don’t (New York: Harper Business, 2001), 22-25. ^For an excellent read on how to prepare for the first 90 days of a new assignment, see Michael D.Watkins, The First 90 Days; Proven Strategies for Getting Up to Speed Faster and Smarter (Boston: Harvard Business Review Press, 2013).